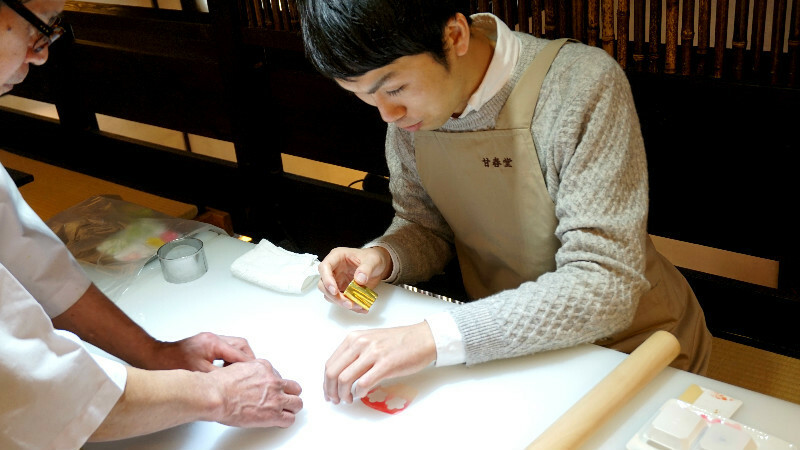 Sharing Kyoto's writers went to make some Japanese confectionary all on his own, and here's his report. 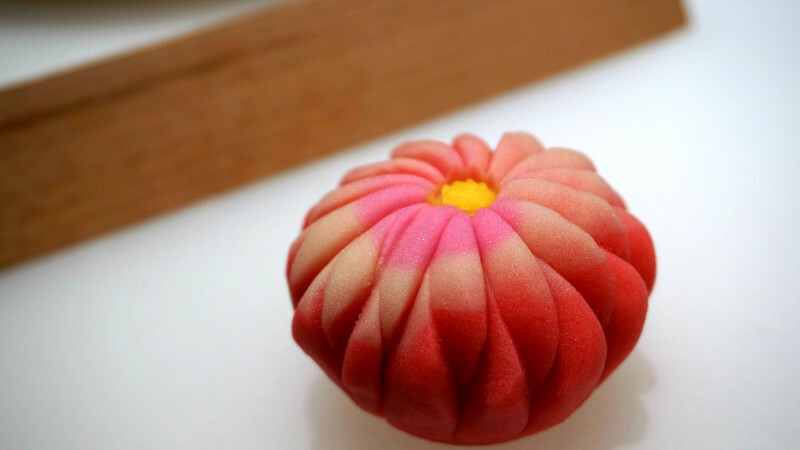 I got hands-on experience in creating beautiful Japanese confectioneries, also known as Wagashi. It was like making edible works of art. The shapes reflect the season so pieces made in class will be different according to season. Mostly it is of flower and colors that represent the current period. 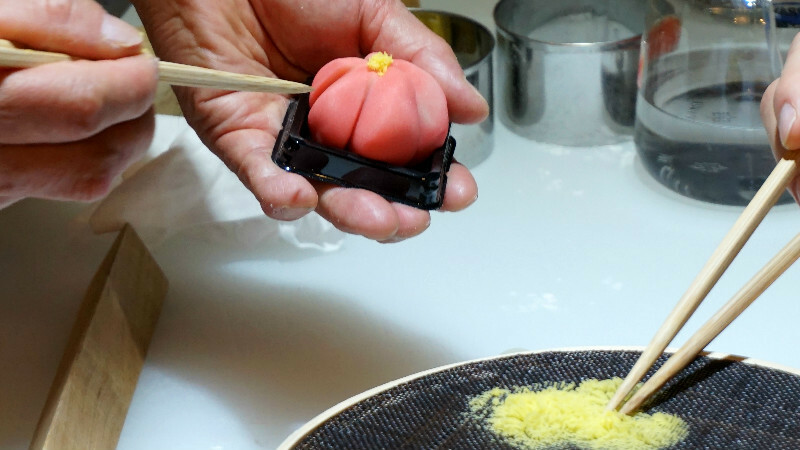 Especially in Kyoto, it's easy to come across these individually beautiful Japanese confectioneries that resemble the blooming flowers or the colors of natural scenes outside. Never thought that I could actually make them with my own hands. 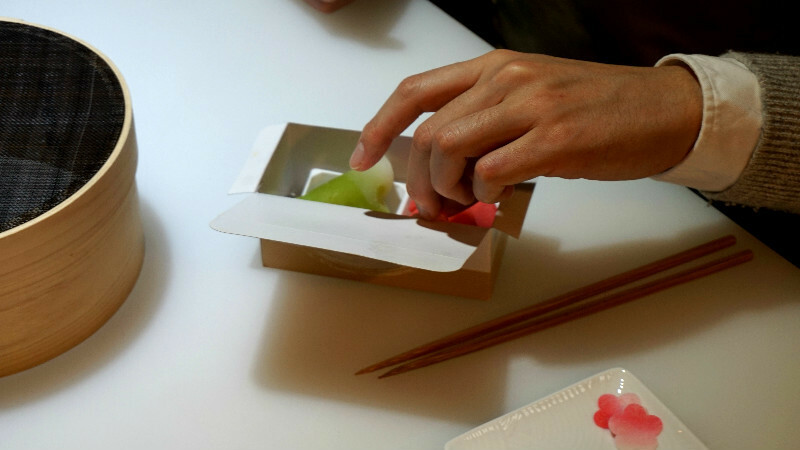 At Kanshundo, you can take a 75-min class in Japanese confectionery making. No need for prior experience! 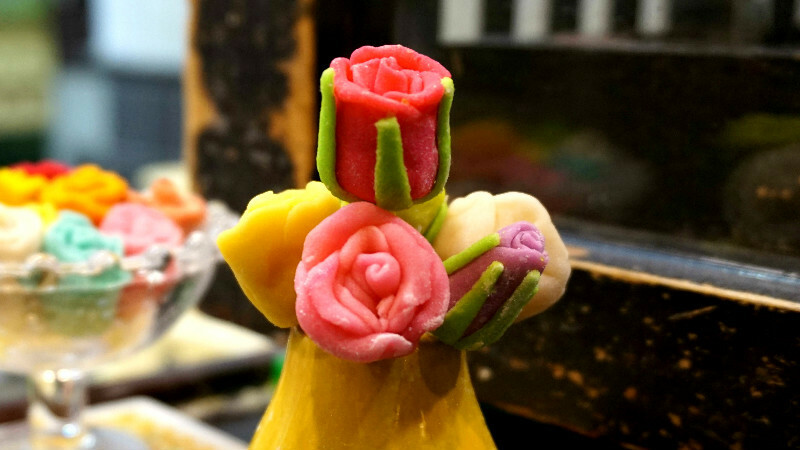 The instructor is a confectionery craftsman, and he or she will teach you the techniques of making these sweets. Listening and watching carefully to the instructions are the key to making a great looking work of art! 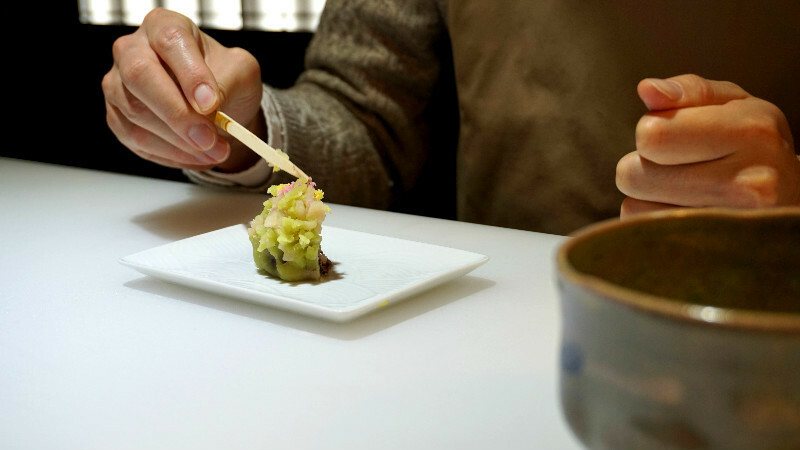 I recommend on making a reservation beforehand online. If not, you could try your luck to see if there are any open spots. Make sure to arrive about 30 minutes before the class start time if you have no reservations. There are four classes per day and here are the start times: 9:15, 11:00, 13:00, 15:00). Enter the shop, and let the staff know you are here for the class. The staff will show you to the waiting area and give you an apron. When the time comes, you will be going upstairs for the class. 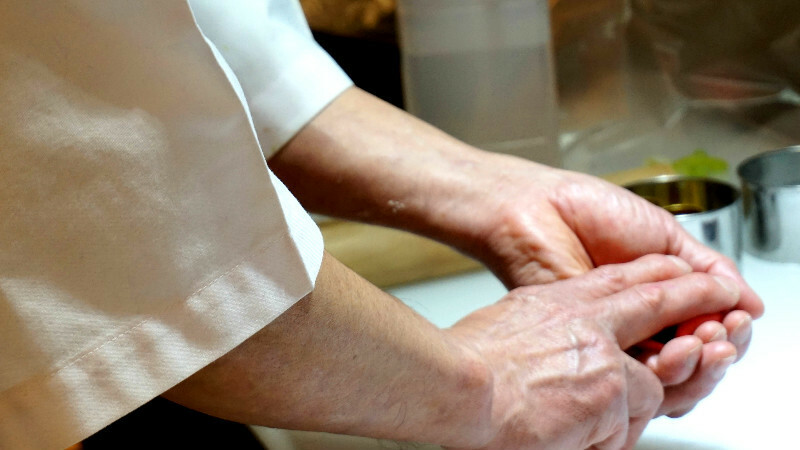 Before making sweets, hands are washed at the sink upstairs. Very important! Take a look at the information sheet that is placed on the table. 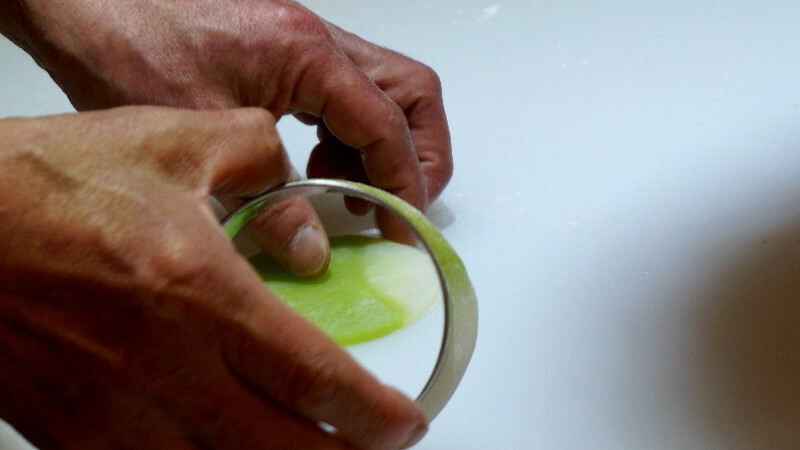 It explains the details of the confectioneries you will be making. The instructor will explain about it in the beginning of the class. Its time to get hands-on! 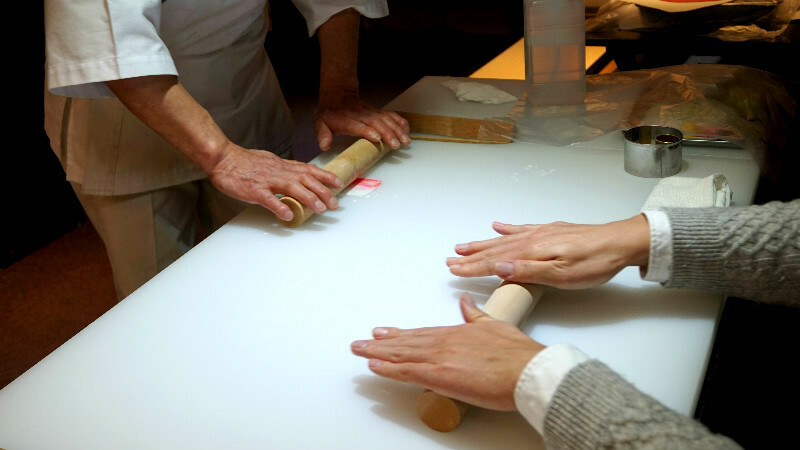 Using a rolling pin and flower shaped cut-outs, I start making my very first Wagashi Japanese confectionery. Here is my first Uiro confectionery after adding on the eye with a sesame seed. Flattening out the sugar dough for my next masterpiece. The thickness is important. 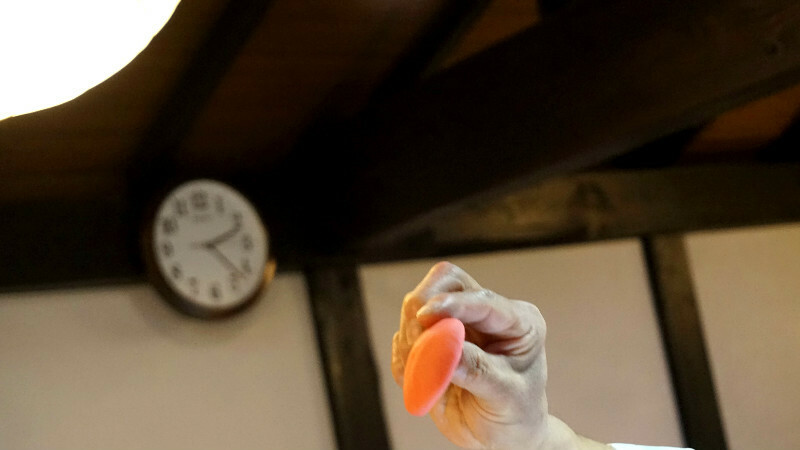 The instructor shows us to place it up near a light to see the transparency. I'm thinking to my self, this is where the difference between a beginner and an experienced craftsman shows up. The techniques get more difficult. The instructor explains that we will be making slits to make it look like a windmill. This is where I question myself if I can do this correctly. Making the slits to my flower. I try my best to get mine to look close to the instructor's as much as possible. 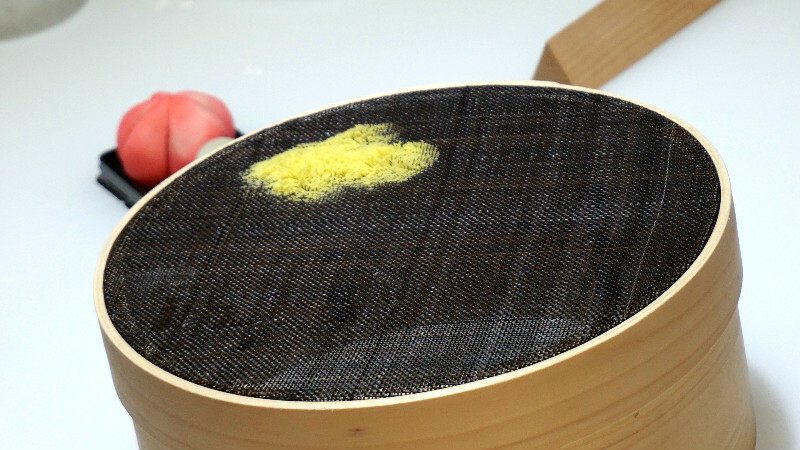 Using this mesh tool, the yellow confetti are made to place it on the middle part of the flower. For our last piece, we use this tool make confettis by pressing on to it. 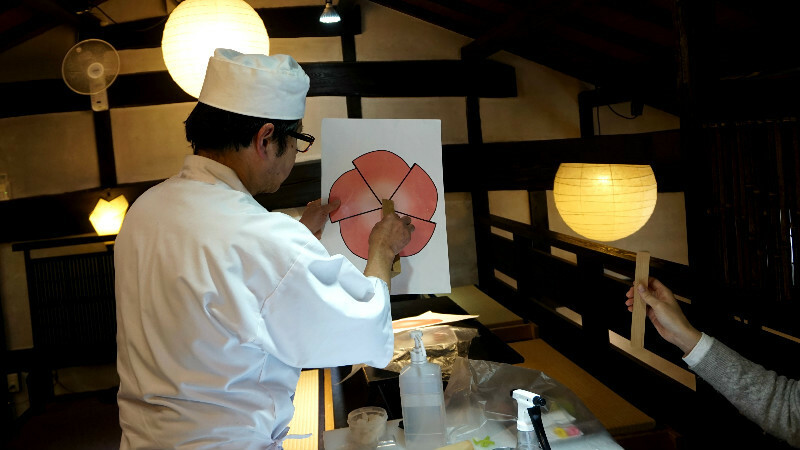 We place the confettis around a ball of sweet red beans. This is more tricky then it looks. 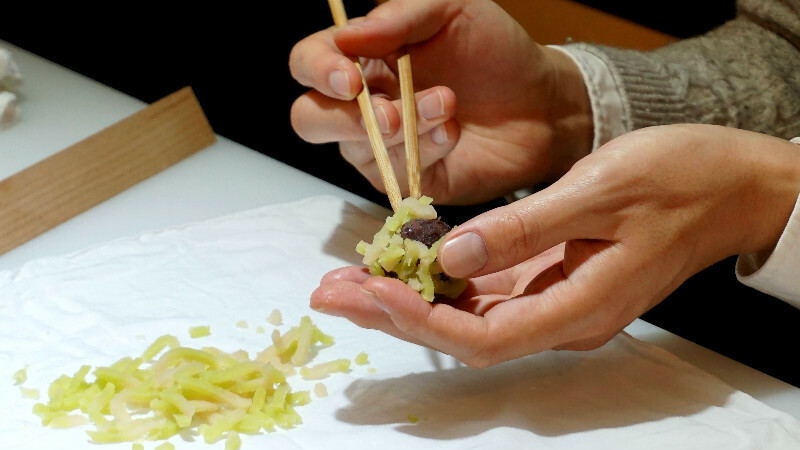 It's very important to place it very lightly with chopsticks around evenly. 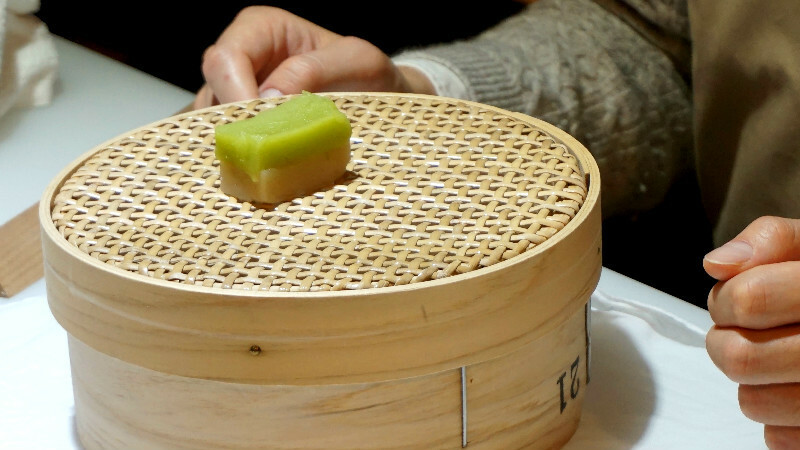 Adding on some finishing touches to my Kinton confectionery. Time to finally taste our work of art! The staff gives out matcha green tea for our tasting session. Here are the creations made by the instructor. He shared these with us at the end, claim it fast if you want one! 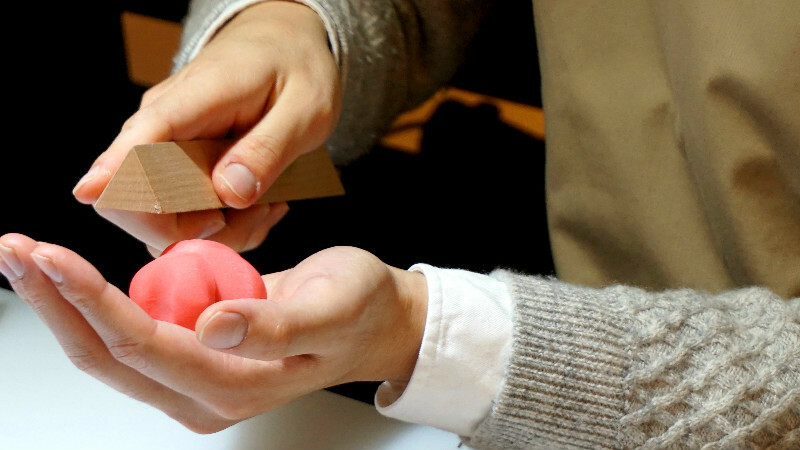 I got a chance to take a look at other beautiful pieces made by confectionery craftsmen. The confectioneries are so stunning! I think I need some more practice to make better pieces. 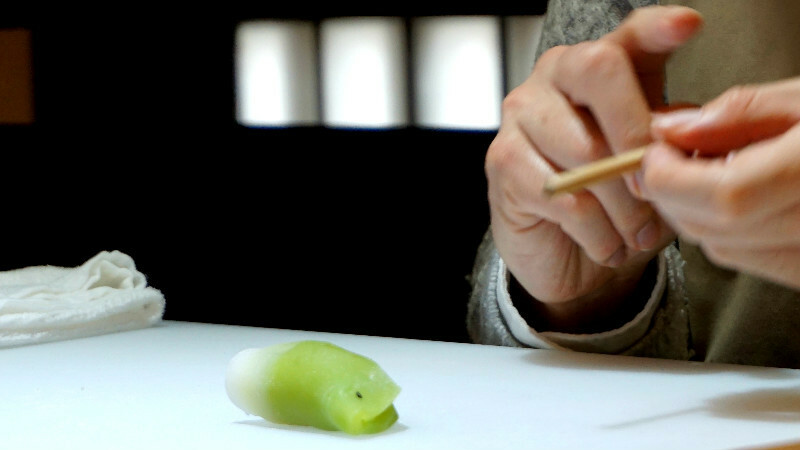 You truly need to become an artist to make great Japanese confectioneries. I was glad that there was no need for prior experience to join this class. 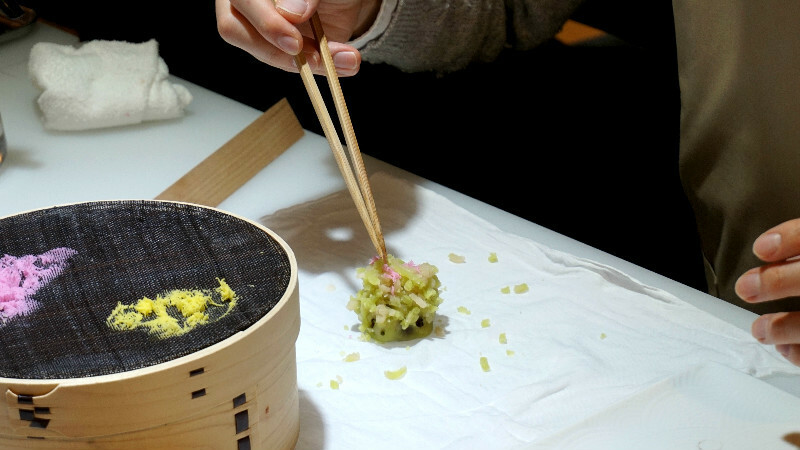 I had fun getting some Japanese cultural experience at Kanshundo! 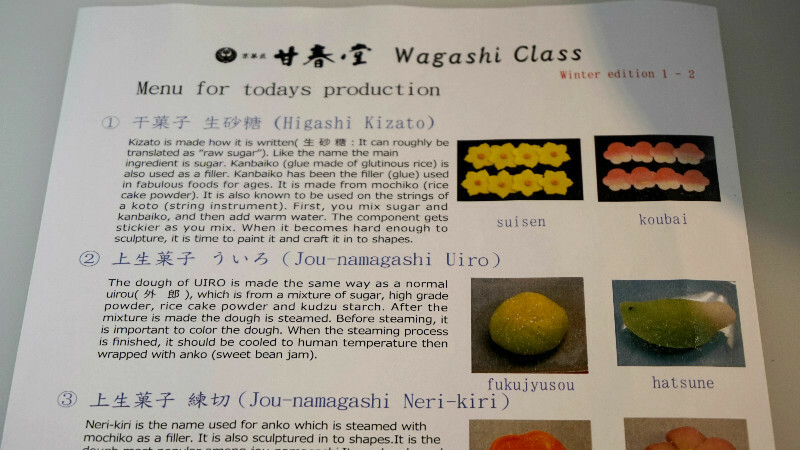 When I went for the sweets making class, there was people from far away within Japan to overseas attending. 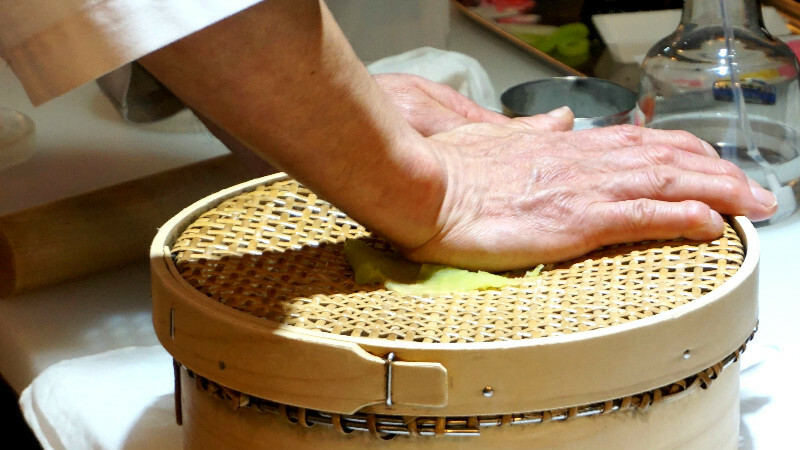 Many visitors love to get close encounter with cultural experiences in Kyoto because of its rich history. 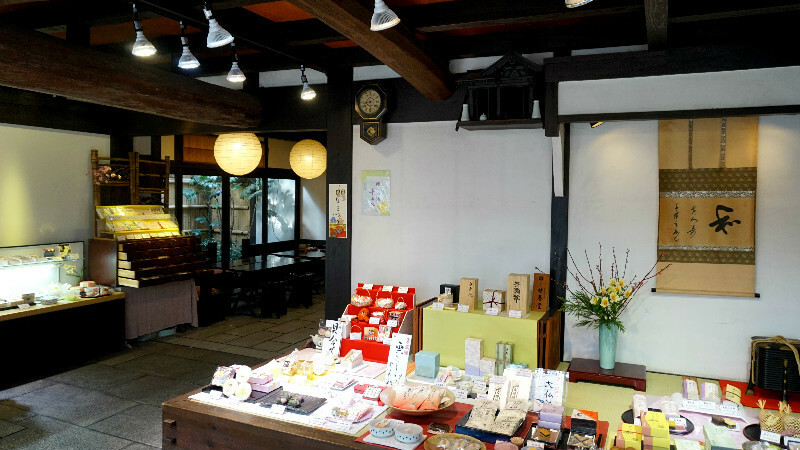 Even this shop, Kanshundo, is over 100 years old! No need to have prior experience in attending the class. 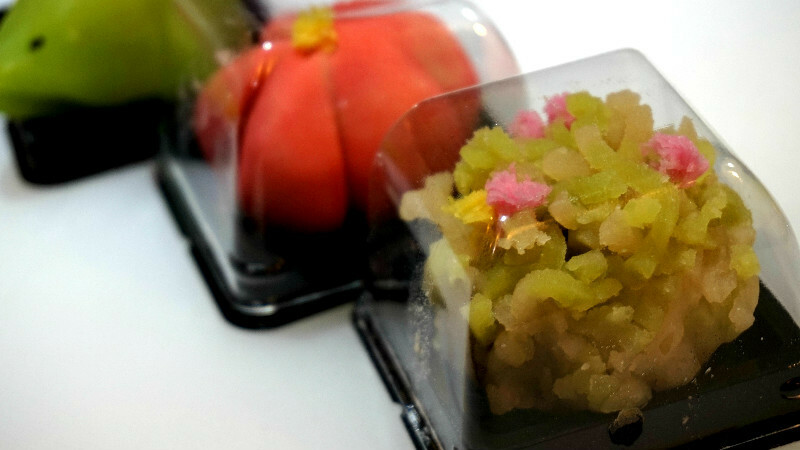 I love baking, but had never made Japanese confectioneries before. It was a great experience and I had so much fun!